The big picture: Russia continues to heavily discriminate against the LGBT community, and Apple has quietly complied and blocked its rainbow Gay Pride watch face for any Apple Watches linked to an iPhone with its locale in Russia. People have been wondering for some time why they couldn't access the rainbow watch face in Russia, and now iOS developer Guilherme Rambo has revealed why on Twitter: "The Apple Watch pride face is hard coded to not show up if the paired iPhone is using the Russian Locale." 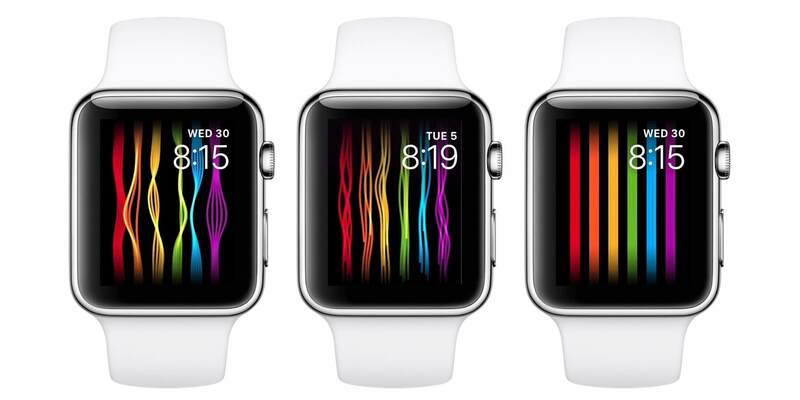 Apple announced the watch face and a matching pride band at its Worldwide Developer Conference a couple months ago, as part of their larger pride support campaign. Apple's "unwavering commitment to equality and diversity" turns out not to be enough to stand in the way of profit margins for Apple Watches sold in Russia, which is disappointing but unsurprising. It's very likely this is a result of Russia's 2013 'gay propaganda' law - a law which has seen all LGBTQ parades, art, speech and general support completely prohibited in the country in the name of protecting young generations from 'propaganda regarding sexual relations'. This particular law violates human rights regarding freedom of speech and expression and while the European Court of Human Rights ruled that it encourages discrimination, prejudice and homophobia, little has been done on an international front. As long as the paired iPhone's locale is set to Russia the face will be unavailable and though this is can be circumvented it could possibly result in jail time in Russia, so it could also be argued that Apple was only looking out for its customers.